Last fall the then newly formed People for Acupuncture in Vermont carefully put together a coalition to create legislation that would mandate insurance coverage for acupuncture treatment for certain conditions. At the same time, lawmakers were intent on addressing the state’s overwhelming opioid addiction epidemic. 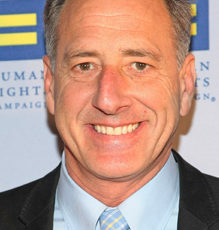 As a result a kind of blended bill was produced and signed by Governor Peter Shumlin on June 10. The Opiate Bill, S.243, appropriates $200,000 to pay for implementation of a pilot project that requires the Dept. of Vermont Health Access to offer acupuncture to a cohort of Medicaid-eligible patients who have been a diagnosed with chronic pain. Outcomes will be assessed in terms of how treatments enable patients to return to social, occupational, and psychological function. An implementation plan is due to the legislature on or before January 15, 2017. In addition to the pilot and required studies, the committees also created the Controlled Substances and Pain Management Advisory Council and included representation by licensed acupuncturists. This action mirrors other state Medicaid programs that have made a place for acupuncture, such as in Oregon, which now recommends acupuncture, massage and other integrative approaches for first treatments of low back pain. See the full Press Release on the law here. A summary of the enacted law is here.